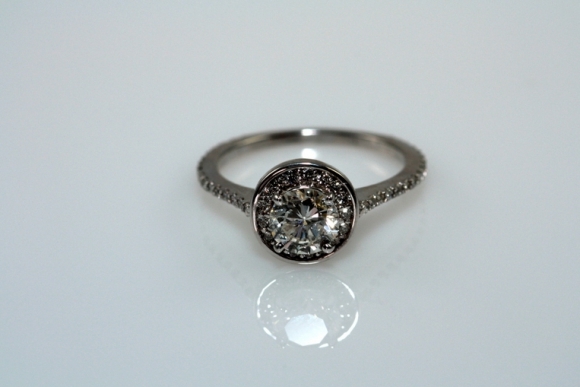 This beautiful halo engagement ring is in 14K white gold, and set with an .80 carat round diamond. 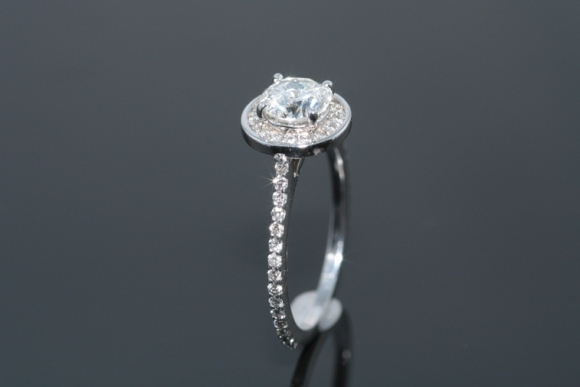 The graceful diamond set band is 1.3mm wide and has a feminine, timeless quality. 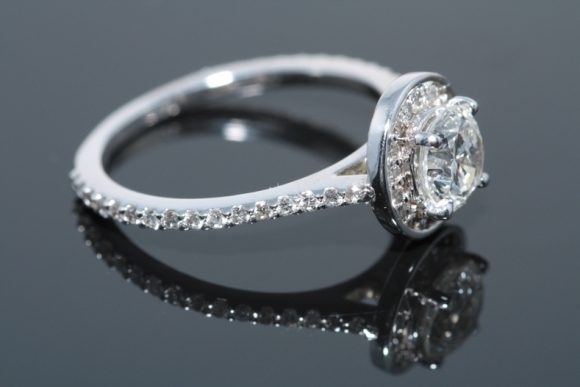 The engagement ring is accented by 49 round diamonds adding a total weight of .25 carat for a full total weight of 1.05 carats. 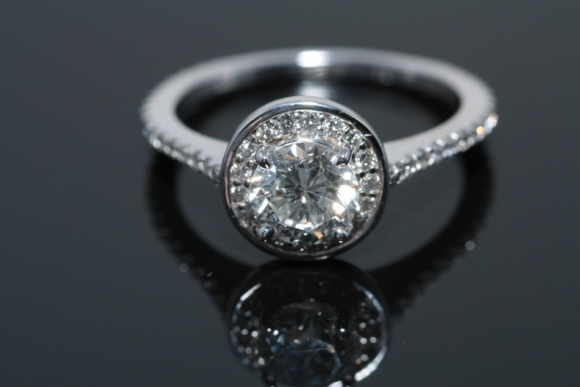 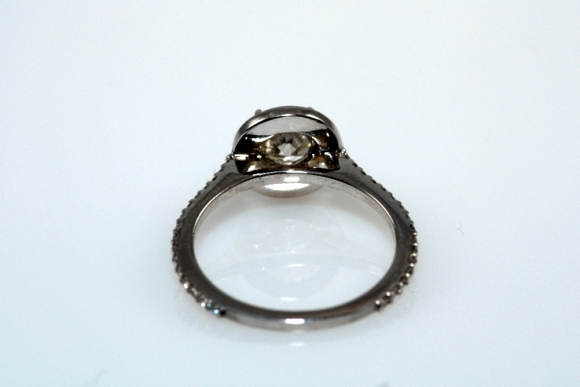 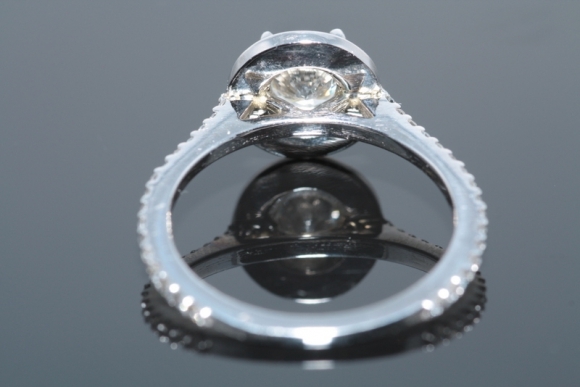 The ring is designed so that band will fit flush against the engagement ring showing no gaps. 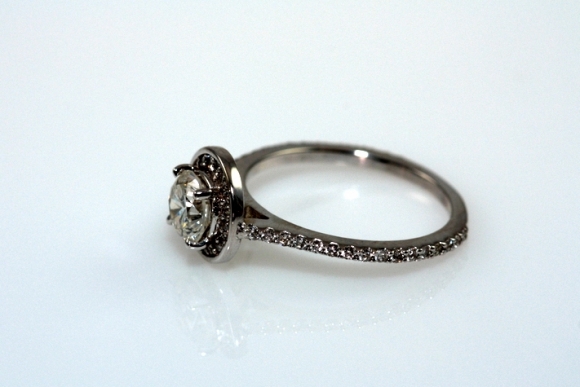 The ring is a small size 6 and may be sized to fit.